Just a few weeks after the last grapes are harvested for the annual vendemmia, the countryside in central and southern Italy is a-buzz again the sounds of the olive harvest. 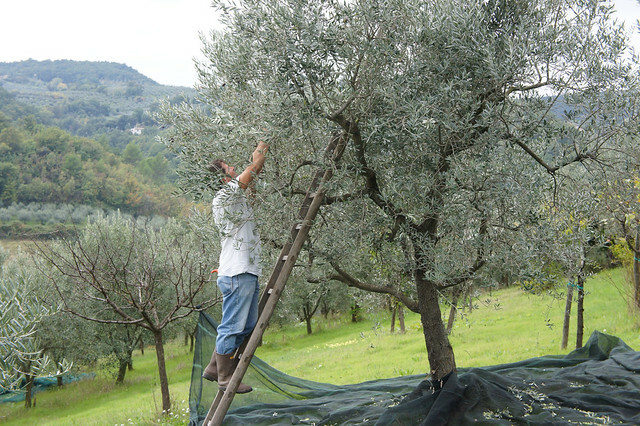 From October through December, olive groves from Liguria to the southern-most tip of the peninsula are carpeted with netting to catch the precious fruit as it is either hand-picked or, in the southern regions, falls naturally to the ground. 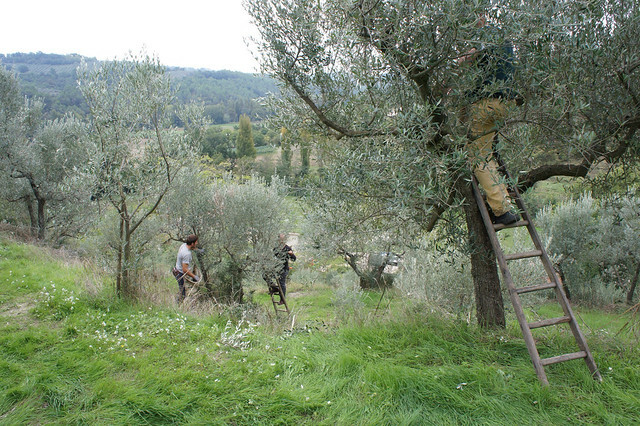 The vendemmia is over, but the olive harvest has just begun in most of Italy. Click to tweet. 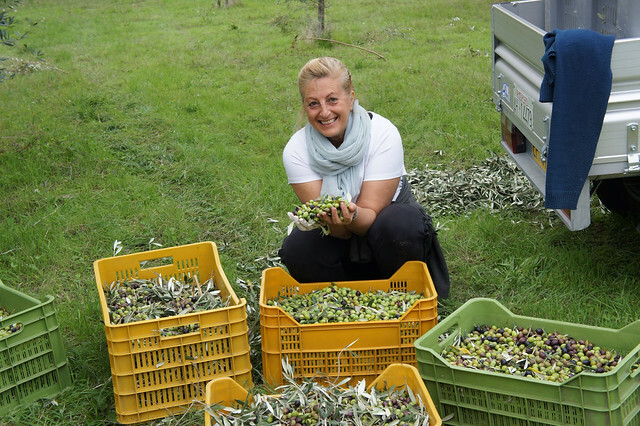 Once gathered into large sacks and loaded onto tractors, the olives are taken to the local frantoio where they are pressed to extract the bright green, peppery, and antioxidant-packed extra-virgin oil. These olive mills can run the gamut from historic, using giant millstones and woven matts to crush and filter the oil, to futuristic, with high-tech polished steel temperature controlled presses. 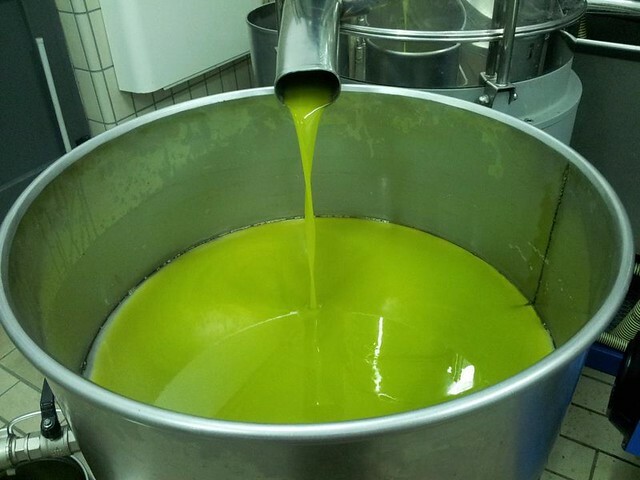 Some of the highest quality oils hail from tiny Umbria, whose olive oil is so esteemed that it is commonly called “green gold”. 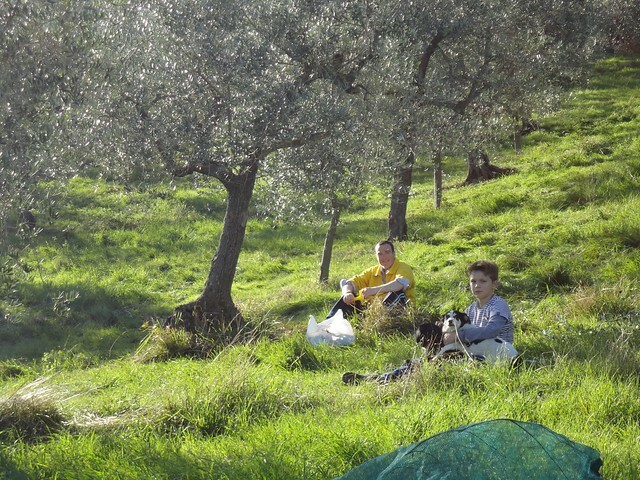 Here the harvest is more than just an appointment on the agricultural calendar, but an annual social occasion where extended families spend a week or more picking their olives, picnicking below the trees, and discussing the year’s quality and yield. Everyone’s favorite moment is when the first thick, flavorful oil begins to dribble out of the press; all self-respecting frantoi have a wood-fire ready to toast bread for the first bruschetta of the season.